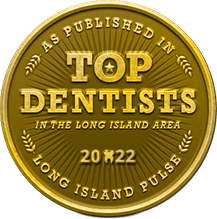 Wondering About Your Options in Long Island Teeth Whitening? Try as you might, it’s just about impossible to keep your teeth from staining or becoming discolored as you age. Frequent exposure to dark foods and beverages, tobacco, and shaky dental hygiene habits cause the extrinsic stains that leave your teeth looking far less brilliant than they could. Genetics play a role, too — some people were just born with darker teeth than others. Fortunately, Long Island teeth whitening provides a wonderful solution! Dr. Mohr offers two options in teeth whitening, just in time for the new year. Zoom! Whitening is a good option for people with normal to moderate levels of staining or discoloration. In just one, one hour visit to Dr. Mohr, you can have your teeth whitened up to six shades. To brighten your smile with Zoom!, we first cover up your gums, lips, cheeks — anything that isn’t your teeth — with a special protective layer. Then Dr. Mohr carefully applies the high-powered bleaching solution to each of your front teeth. Once they are completely covered, the gel is activated under a special blue light in three 15-minute intervals. Zoom! Whitening comes with a touch-up kit so you can maintain your results for many months (or even years) after the initial application. For patients who are dealing with more severe discoloration, KöR Whitening comes to the rescue. Stains resulting from medications are particularly notorious for being difficult to remove, but KöR takes care of even the most stubborn discoloration with a unique formula and application process. The ultimate in deep bleaching, KöR whitening gel is continuously refrigerated and highly potent to deliver the brightest results. KöR does not use any lights or lasers for activation. Instead, it conditions your teeth to make them more permeable to the bleaching solution, ensuring your smile is maximally-susceptible to the treatment. Most KöR Whitening treatments begin in our office and are completed from the comfort of your home. With a multitude of over-the-counter whitening options available these days, is it really worth it to invest in professional whitening? Yes. 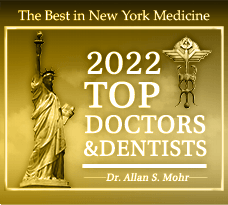 For the safest, most effective results in teeth whitening, patients should turn to Dr. Mohr. Whether it is Zoom! Whitening or KöR, professional whitening gels are far stronger than what you can pick up at the pharmacy. Many patients — especially teens — are tempted to abuse or overuse whitestrips and other over-the-counter whitening treatments in search of the dazzling results they were promised. But when you invest in professional whitening, your teeth look as stunning as you’d hoped (or better!) after just one treatment. Your dentist can also keep special considerations in mind as needed, like how to combat tooth sensitivity. 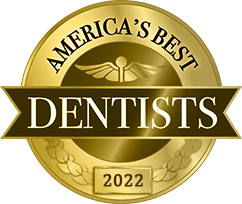 Dr. Mohr will evaluate your teeth and consider your unique needs to determine which bleaching solution is best for you and your smile. Interested in revealing your whitest smile in the new year? There’s never been a better time to do so at Smile Creations. Your Massapequa cosmetic dentist is offering $100 off Zoom! Whitening and $100 off the KöR Whitening treatment! Don’t wait to take advantage of these big savings in teeth whitening. 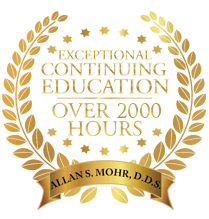 Request an appointment with Dr. Mohr today. by: allanmohr at January 3, 2017 . Comments Off on Wondering About Your Options in Long Island Teeth Whitening?